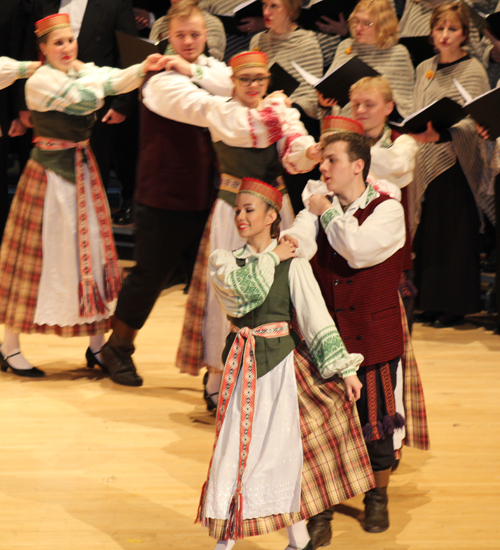 After the performance by the Choirs, a video called Manoji Lietuva- Our beautiful homeland was shown and the poem O Wandering Traveler was read. 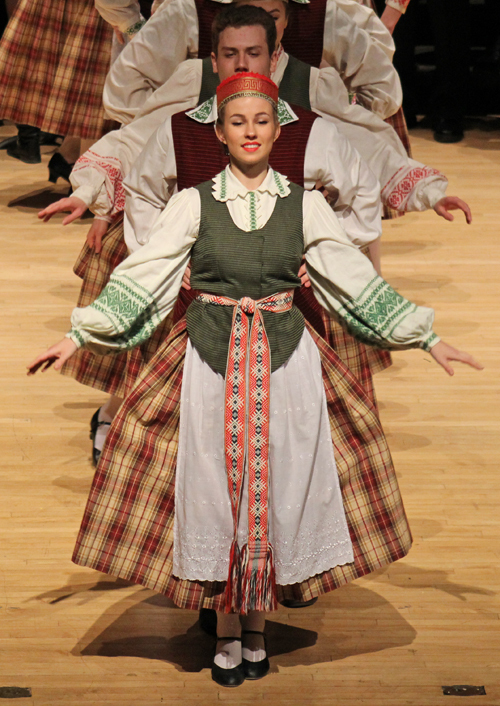 Remember: All the images below with a white arrow in the middle are videos. 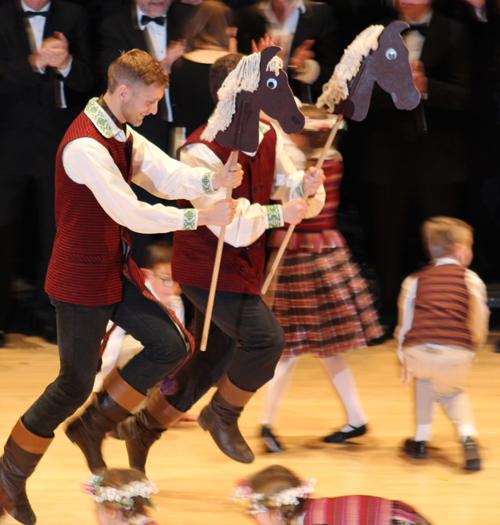 (The other images are just photos) You can click on the white arrow to watch the video of whatever is described. 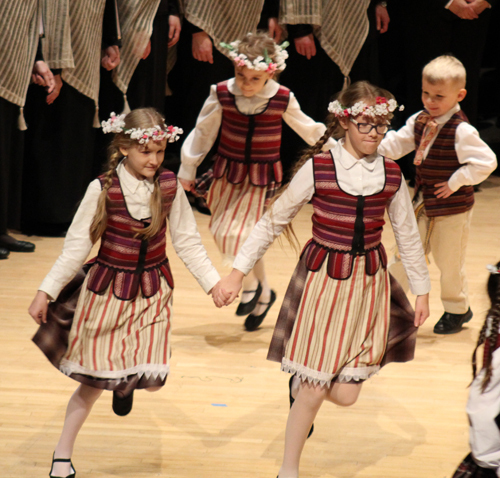 Make sure your speakers are on and you can make the video full screen once it begins by clicking the icon in the lower right corner. 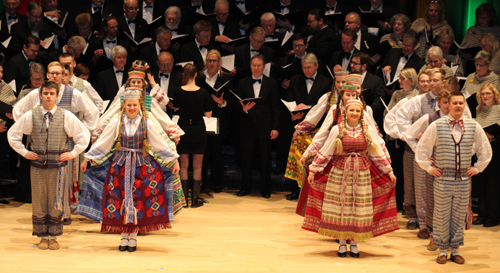 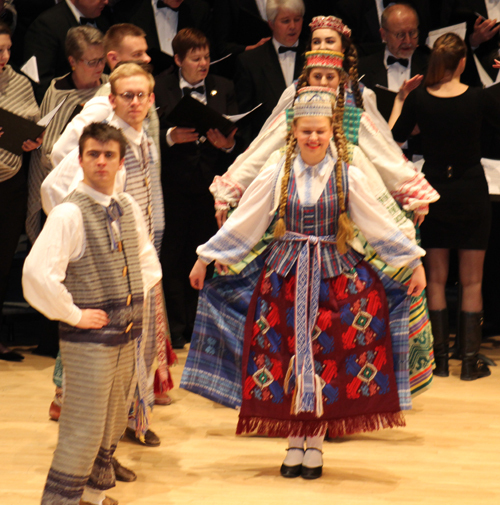 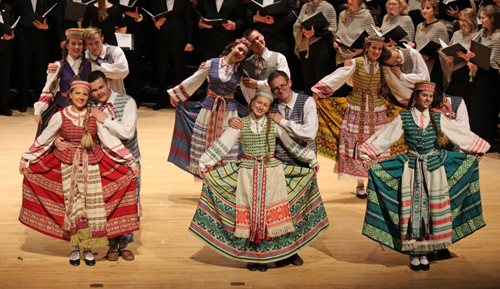 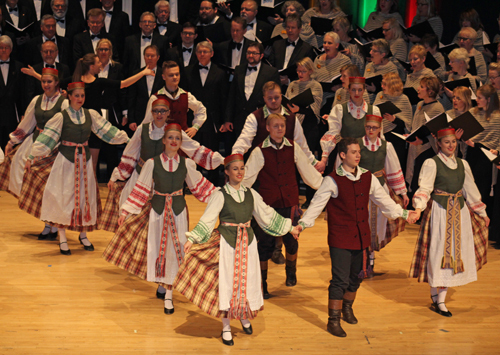 The grand finale of the event included the combined choirs and dance groups. 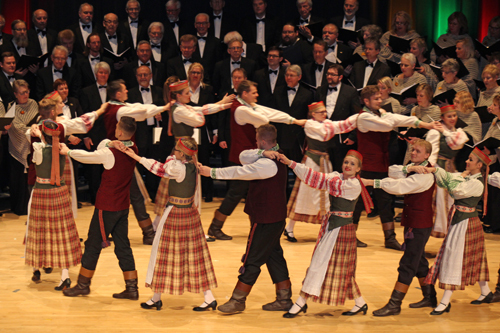 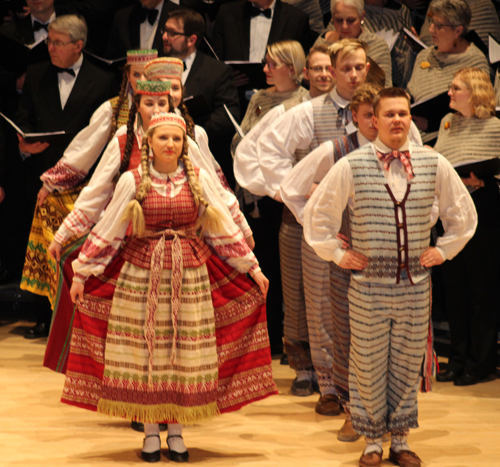 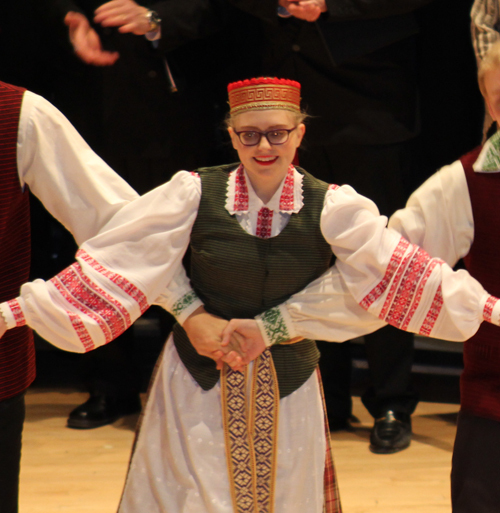 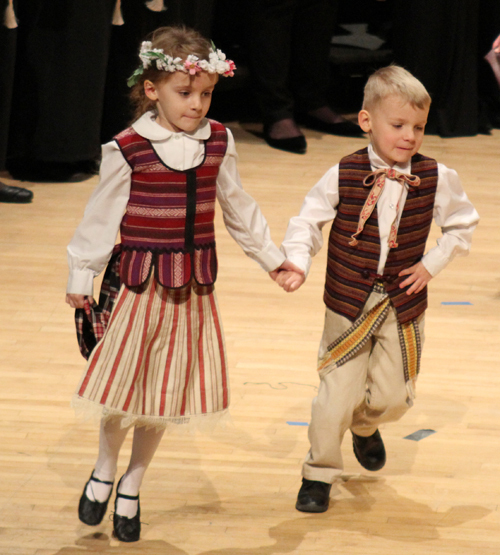 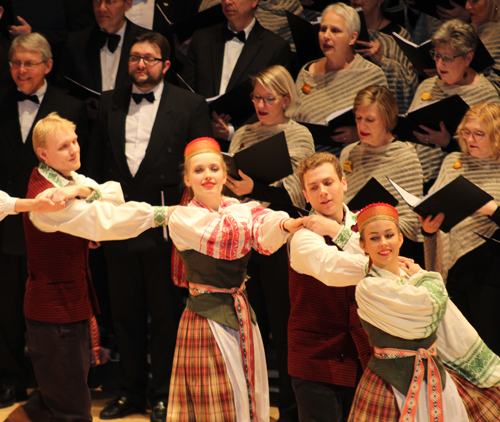 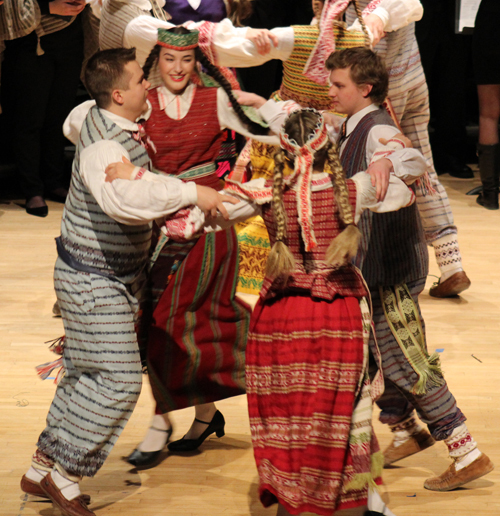 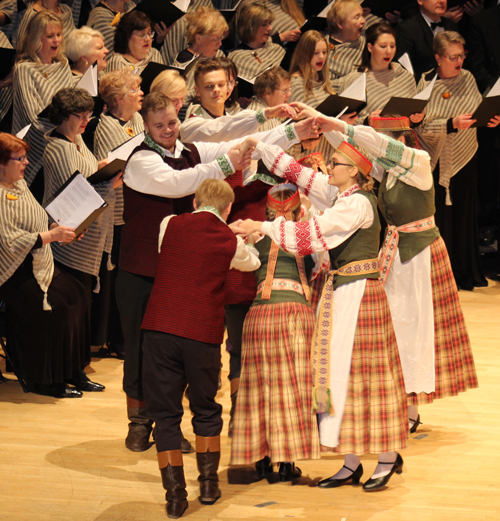 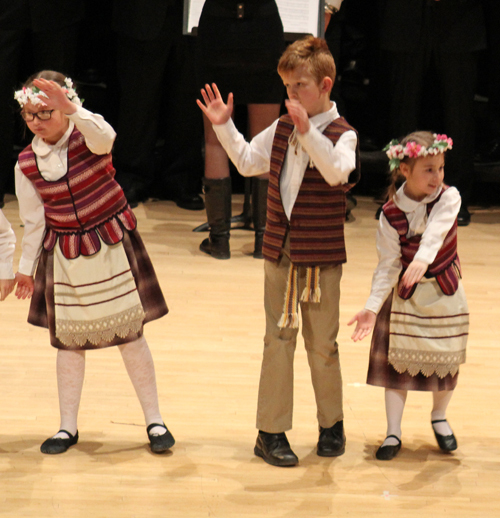 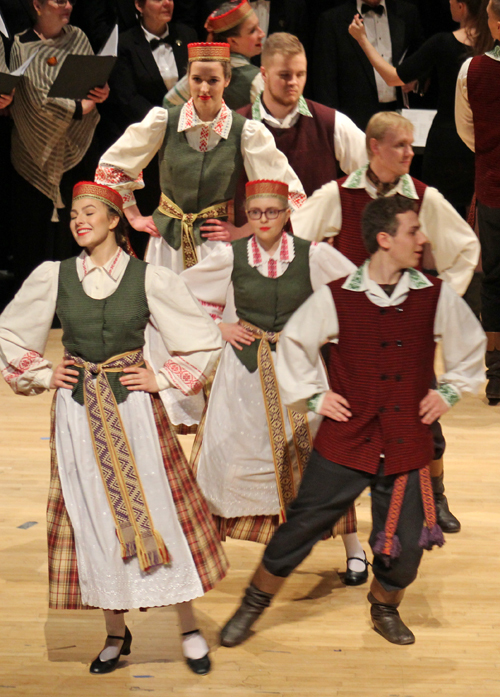 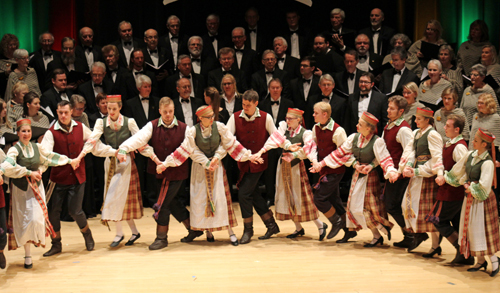 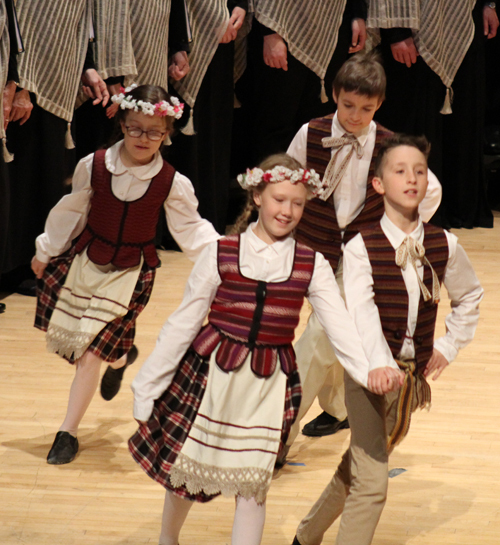 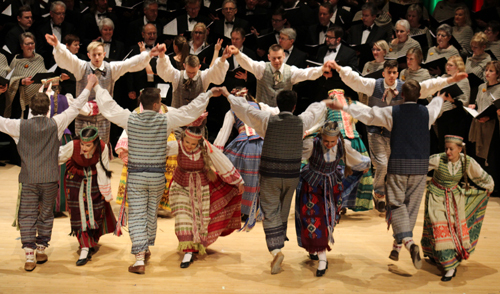 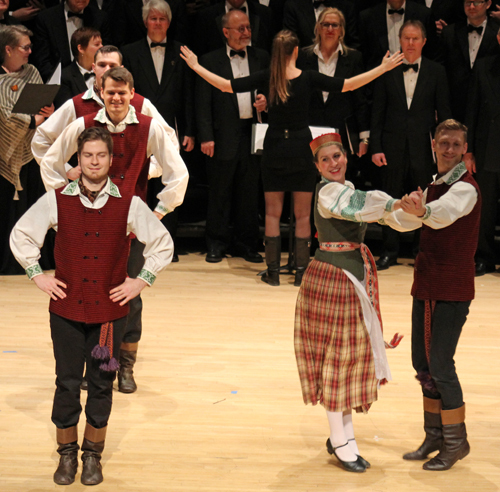 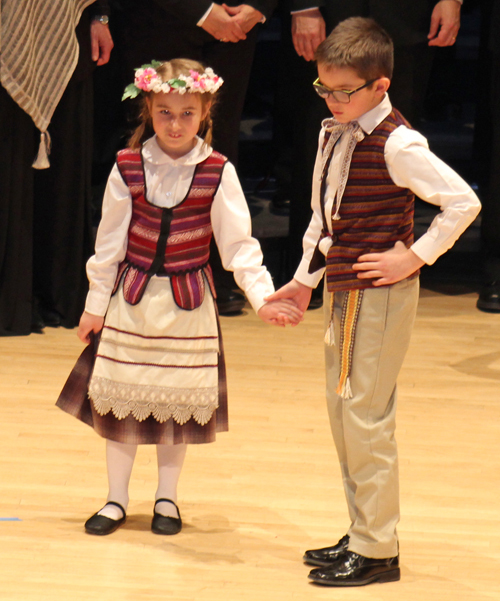 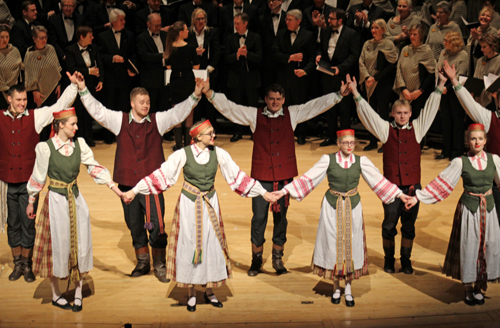 This song is 'Astuonnytis' (The Weaving Dance)' and is performed by Svyturys. 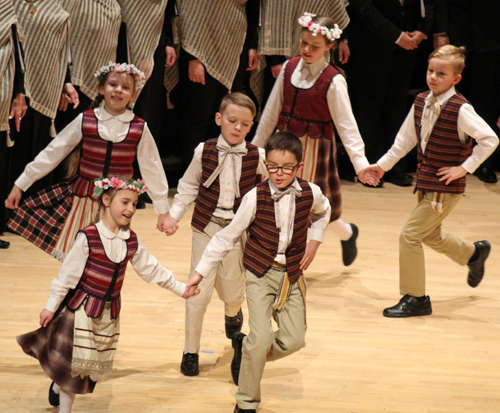 This song is 'Voverele' (The Little Squirrel) and was performed by Gintaras.